This is a good place to learn about kids party magicians. 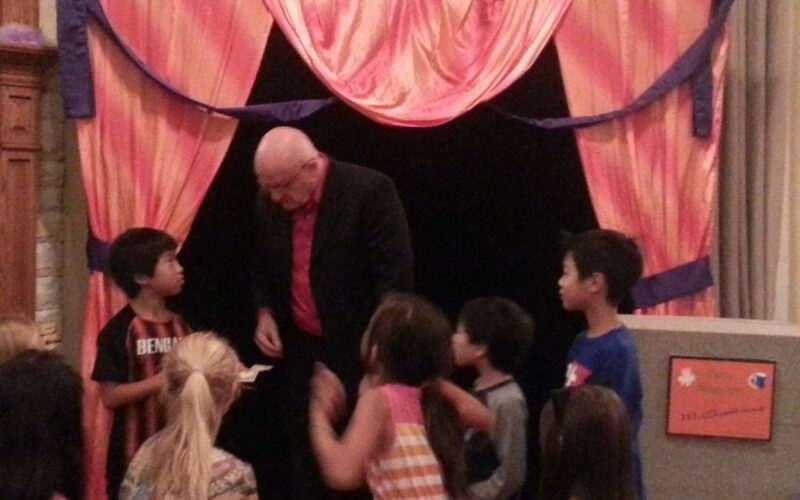 Want to see what a kid’s party magician does? The birthday party is a wonderful time of celebration. Family and friends enjoy a good time of food, fun games and special attention to the celebrant. With all of the activities going on, a professional kids party entertainer can focus attention on the right place or person at the right time. Your kid’s party magician should have age appropriate magical effects. He should always make the audience feel good and satisfied, not tricked or fooled. Having a good outcome from a magical effect is more important than showing how much you know. Everyone, including the adults, should feel they have seen a good magic show and had a great time doing it. 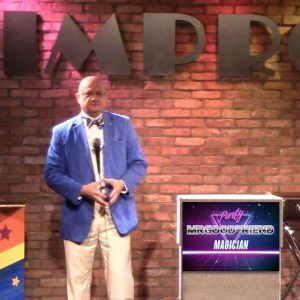 The magic show should engage the audience and everyone should have an opportunity to be a part of the show. Many times, the magician will need a volunteer or two. Polite and well behaved children should be ready to assist the magician and be part of the magic. If members of the audience are not chosen, they can always participate by expressions of approval, surprise and gratitude with applause and cheering. Sometimes, an audience member may feel the need to let everyone know that he or she knows how a particular trick or effect is done. This is not very polite and shows a serious lack of manners. Most everyone enjoys the presentation of a magic show, not the exposure of how the trick is done. And many times with this agitator let’s out the information, it is often wrong. While the performing magician isn’t likely to get into a battle of wits with such a heckler, a simple indication of error is often enough to move on to the next trick. Look for the Contact Us menu item on the home page of the website https://omagic.com.You can also find more information about Kids party entertainer MrGoodfriend on our Google Plus page.